Mary is awesome!! She is always smiling, has a great attitude, has a kind word to say and makes you feel special. I am a big Mary fan. Mary Moss may be the most successful headset-wearing brand ambassador in the country. She’s manned the drive-thru at a McDonald’s in Chandler, Arizona for four years, and during that time has developed quite a following. The McDonald’s restaurant where Mary works doesn’t have a following, SHE does. 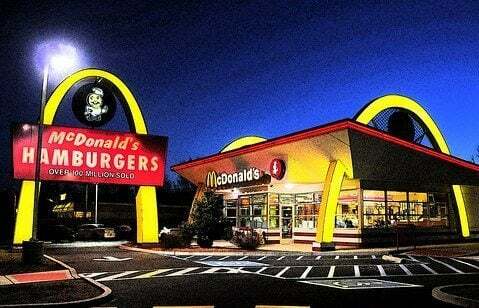 After all, the secret to McDonald’s corporate success is sameness and replication. Having a disproportionately awesome anything at a single location throws off the whole business model. But Mary is defiant in her ability to stand out. She embodies the principle of social media being about people, not logos. Imagine how many drive-thru employees you’ve encountered in your life. How many do you remember in a positive connotation? Of those, how many would take the time to “fan” on Facebook? But yet, 722 people are fans of Mary Moss on the official Facebook page dedicated to her drive-thru prowess, a page that she had nothing to do with, and didn’t even know about until a drive-thru regular (she has groupies) told her. Mary has it exactly right. In your struggle to find the perfect social media strategy, to out-execute the competition, to create something “viral” it’s all too easy to forget that almost every big thing started out as a very little thing. And most of those little things became movements (amazing manifesto by Spike Jones here on movements), for one very simple reason: they exceeded expectations. If you’re looking for the social media breakthrough for your organization, think about Mary. Consider how you do business every day, and how you could alter those processes just a bit so that you’d be delivering something exceptional – something that exceeded expectations. How will you find your Mary? Are there other examples of small things becoming big things?